Guru Labels are one of Australia's leading manufacturer and supplier of Void Labels. 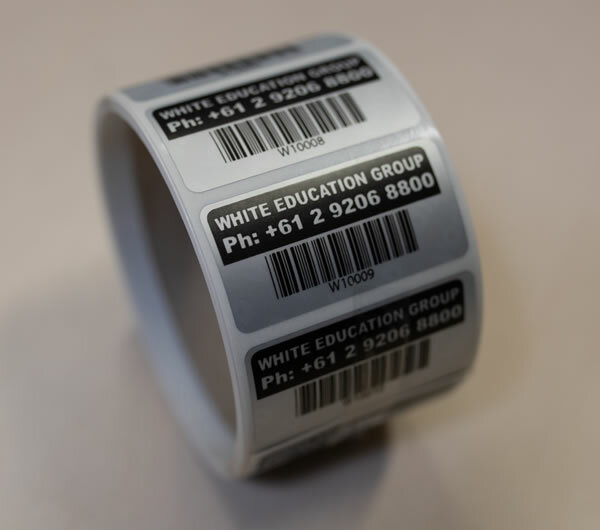 Void Labels are widely used by used by companies, educational establishments and government organisations, as a way to label, track, monitor and deter theft of your equipment. 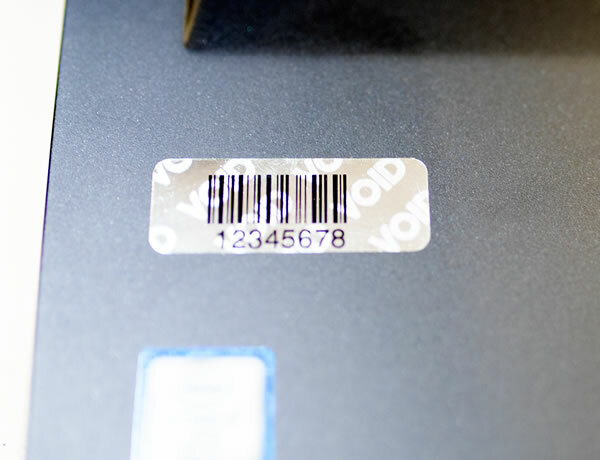 Void Labels can combine a wide range of information including company name, logo, text, variable barcodes and numbering alike. We choose to print our Void Labels using thermal transfer technology which delivers long lasting variable data print to a wide range of quality raw materials. Supplied on easy to use rolls, we manufacture our Void Labels on high quality raw materials such as polypropylene and polyester guaranteeing your Asset Labels perform faithfully even under extremely harsh conditions. Our Silver VOID Tamper-Evident Void Labels protect against tampering and unauthorized transfer by leaving the wording VOID behind when removed. This can be useful when it is necessary for you to ensure the warranty of products or parts. They also prevent your labels being removed and used elsewhere. Once a good bond is established these labels are not able to be removed as a complete label and the VOID pattern residue left behind is a clear indicator that the label has been removed or tampered with. These labels offer a high level of security to protect your assets and your business.